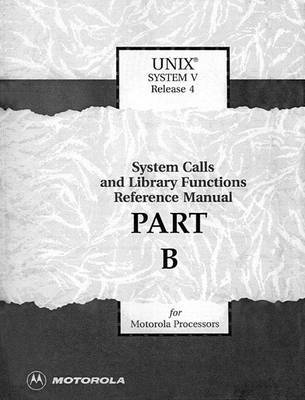 Revised to match the official updated Motorola documentation (Version 3), this manual describes UNIX®® System V Release 4 calls and C language library functions for Motorola Processors. KEY TOPICS: It covers the BSD system compatibility library, Standard C library, executable and linking format library, general-purpose library, networking library, standard I/O library, and more. For all users of System V interfaces.